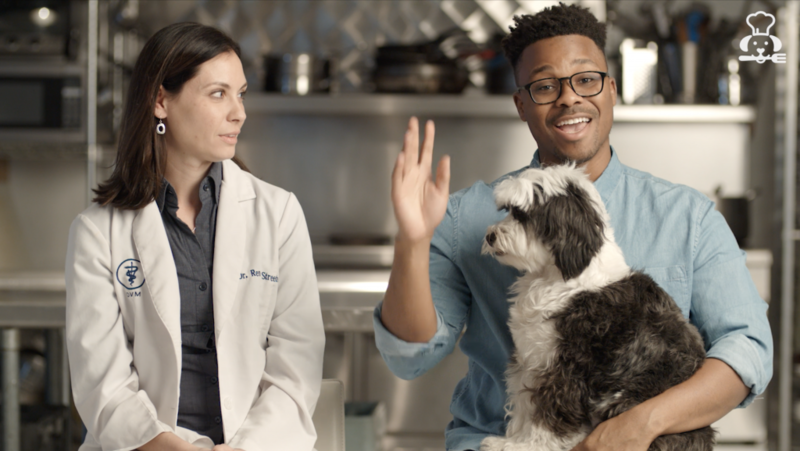 PetPlate tapped KSK’s Director, Manny Kivowitz, to help develop this innovative “explainer” video for their webpage and social media channels. 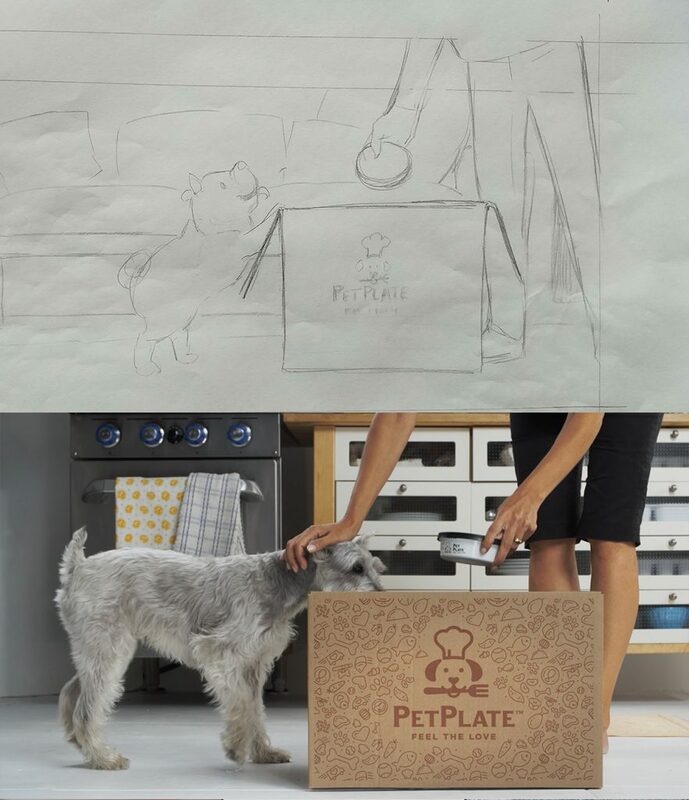 “It was a really fun challenge, we had to quickly create all of these environments in a single studio location, working with a pack of non-pro pups including the PetPlate founder’s dog. We had a great team, a fantastic client and amazing dogs, which made putting this one together a blast” says Kivowitz. 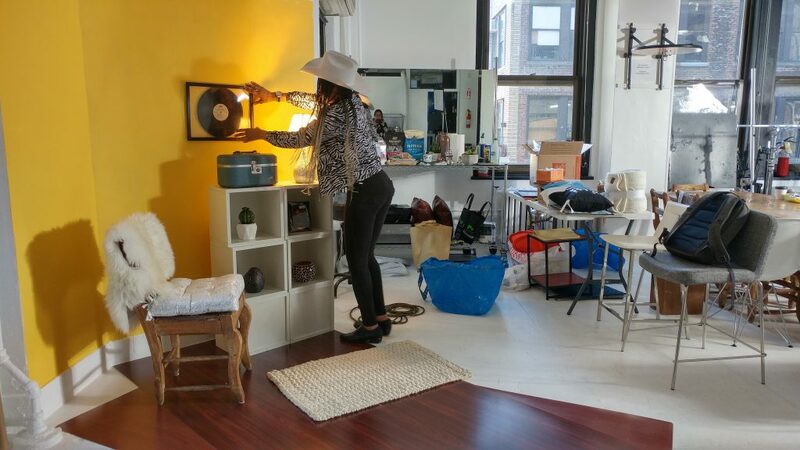 KSK art directors set up 3 domestic living spaces within a photo studio environment. We made sure to incorporate Pet Plate’s brand colors– blue and yellow into each set, while still giving each set its own character and style to match the various target customer profiles we’d been provided. 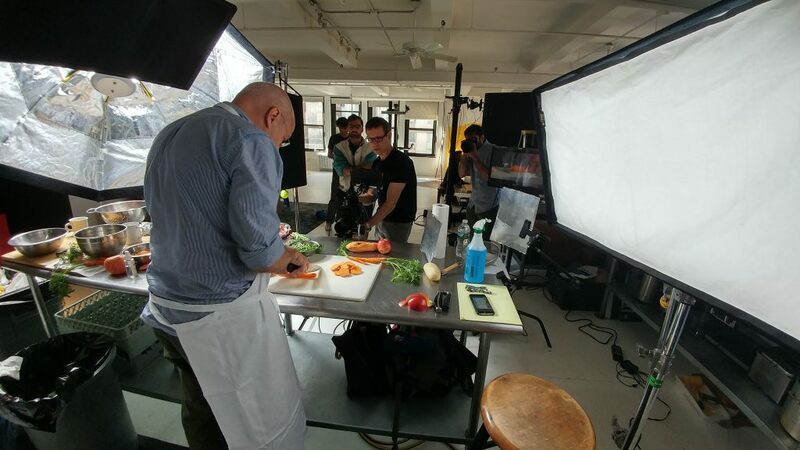 For the tabletop food close up shots, we tapped Manny’s good friend, mentor & master food photographer, Peter Pioppo who lent his hand(s) as stylist that day as he sliced and diced delicious fruits and veggies which are all part of PetPlate’s ingredient line up. Director/DP Manny Kivowitz has a deep interest and passion for shooting food… but usually its people food. 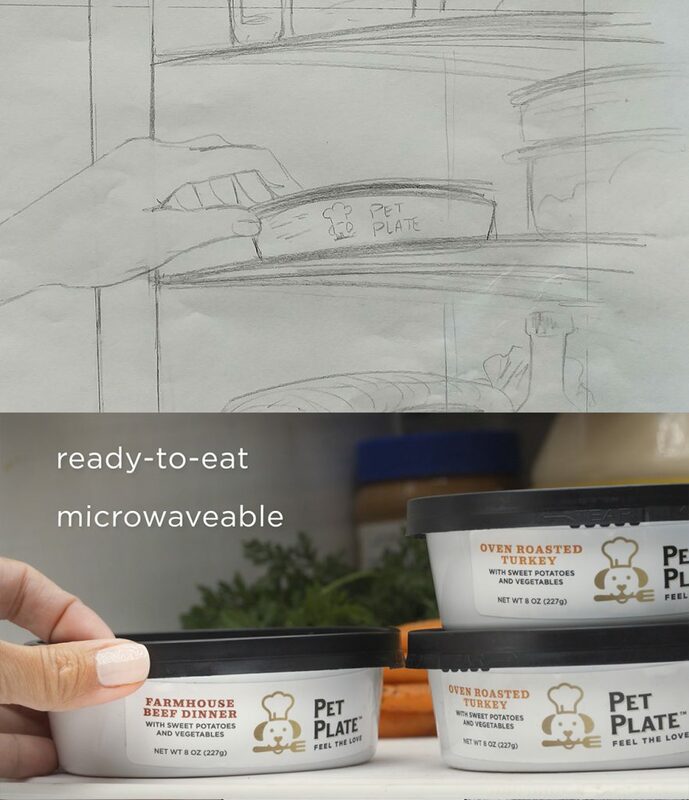 “Not all dog food is easy to make appetizing to people (who buy it) but since PetPlate uses only Grade A ingredients any of would of us would eat or feed to our families, it was relatively easy to bring a strong appetite appeal to their amazing products”. Sometimes it just takes a little Hollywood magic to turn a corner of your space into a cozy living room! 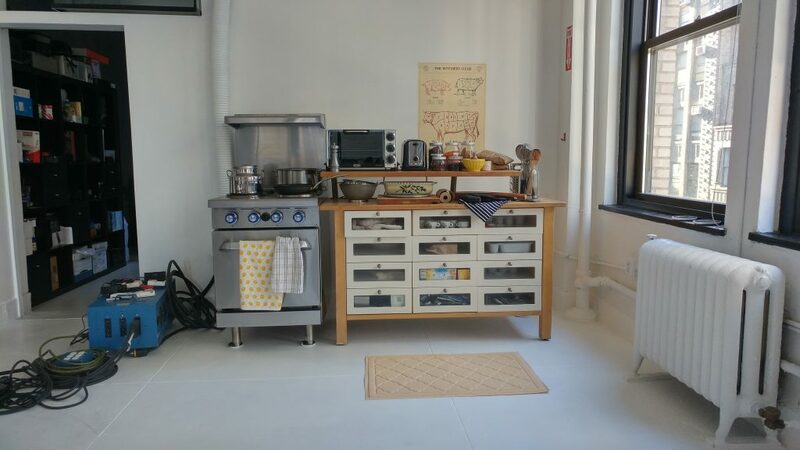 …or to design a gourmet kitchen location! 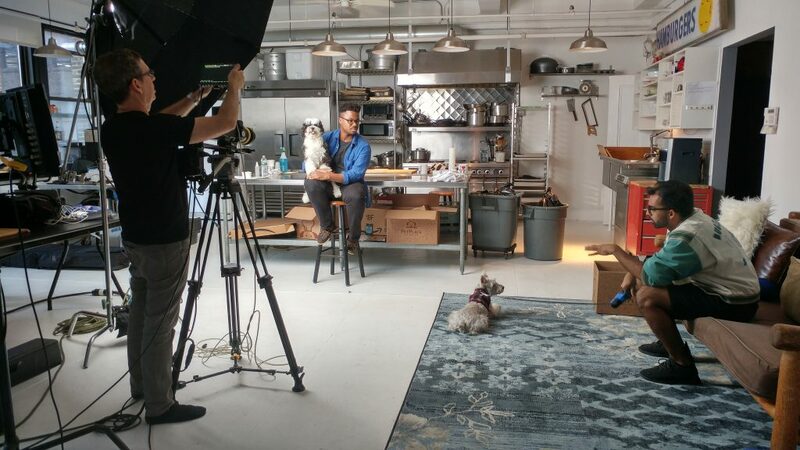 After wrapping the shoot day, we had a bit of time leftover, so we decided to make good use of it and pulled off a bonus shoot for our client that would feature the founder of the PetPlate, Renaldo Webb and Dr. Renee Streeter, PetPlate’s veterinary nutritionist. 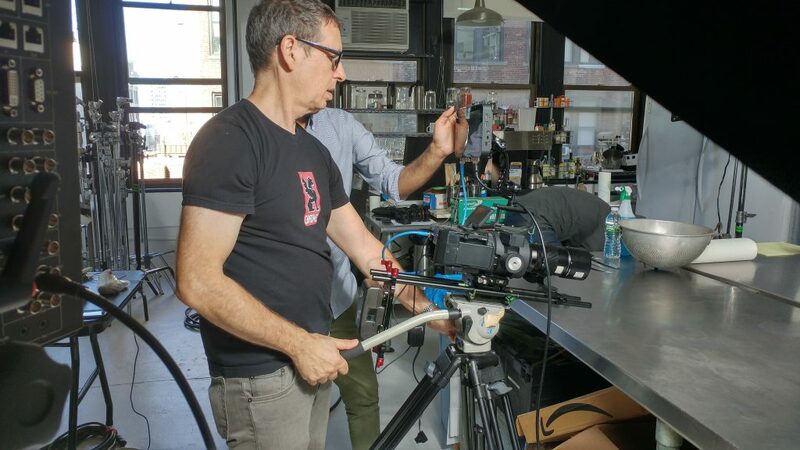 We used 2 camera’s for the interview shoot, the main camera to capture a straight on “direct to camera” shot, and a second camera that was set up to pick up a profile angle. Using (2) 4k cameras for interview setups allow for a lot of versatility in how we edit the piece together in post. Here is the resulting mid shot from the interview, captured with our main (center) camera. We used a lower aperture to allow the background to fall out of focus. That way, the interview subjects remain the focus of the video. 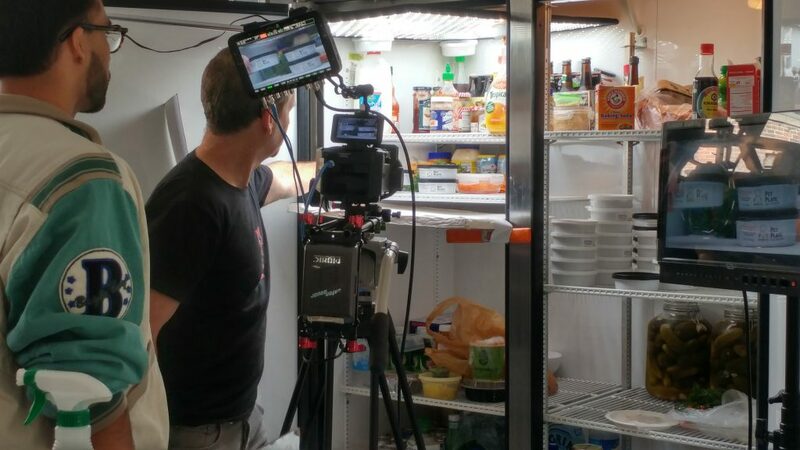 Setting up and blocking out a shot inside of a refrigerator. It was important to get the right angle, and to set the product in place just perfectly in order to display it in the most pleasing and convenient manner. Above is our storyboard sketch as well as the final shot. It’s important to pre-visualize the shots clearly, ahead of the shoot, during the pre-production phase so that the entire team (and the client) can be fully prepared to execute all of the shots on its list and have the smoothest shoot day possible.